A small, squat man is speaking before a huge crowd. All eyes are cast upon him, most in awe, some in adoration, and others in complete envy. Yet, all are rapt. Casting aside the realities of their everyday lives, they have willingly entered a world where disbelief is common, where the impossible frequently happens and where anything is seemingly possible. 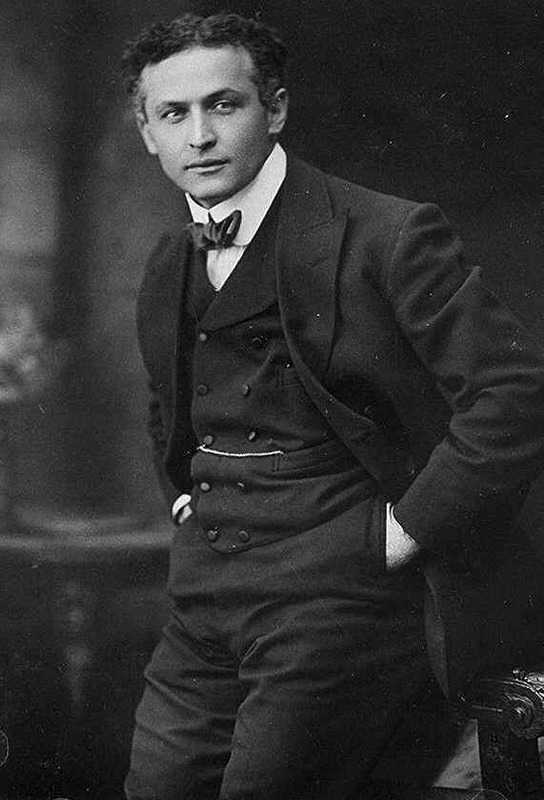 This man was the most famous magician of all time, Harry Houdini. Charismatic and intense, Harry Houdini changed not only the face of magic but also the world. The first celebrity, one hundred years after his heyday he is as famous now as he was then. Harry Houdini was born Erick or Ehrich Weiss, in March 24, 1874, in Budapest, Hungary. Ehrich’s parents were devout Jews, his father, Mayer Samuel Weiss, was a Rabbi.Harry’s mother Cecilia Steiner gave birth to seven children, six boys and one girl. Ehrich was the third child. At the age of four, Ehrich, together with the rest of his family, emigrated to the United States. Living in Appleton, Wisconsin, Rabbi Weiss served in the Zion Reform Congregation. Ehrich was introduced to magic by the passing circuses travelling through New York. As a young boy, he had a voracious appetite for reading magic books. The french magician, Jean Eugene Robert-Houdin, was his idol. Young Ehrich loved Robert-Houdin’s mantra ‘Never forget I am not a magician, I am an actor playing a magician‘ later on he would incorporate this sentiment into his own performances and ultimately his life. The famous story goes that Ehrich’s friend, Jack Hayman, told him that if he added an “i” to Houdin then that would mean ‘like Houdin’ in French. Ehrich, who was often called Harry, changed his name to Harry Houdini and a legend was cast in stone. After starting out in Dime Museums or Freak Shows, Houdini and his brother Dash, who was known as Hardeen, created a magic act. Under the moniker of ‘The Houdini Brothers’, one of their greatest tricks was called ‘Metamorphosis.’ This consisted of one tying the other, placing him in a sack and finally putting him into a box. A curtain would go up and the two would have changed places. Houdini’s father died at the age of 63 from cancer. 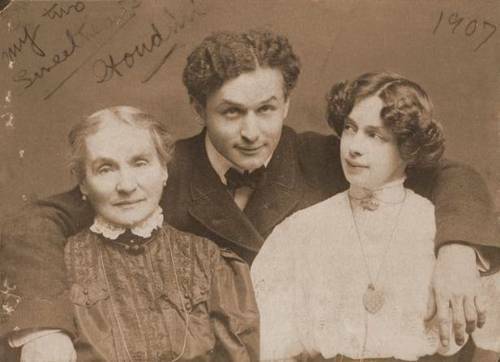 Harry Houdini had promised his dying father that he would look after his mother and he would do so for the rest of her life. Shortly after his father’s death he met Wilhemina Beatrice (Bess) Rahner. They were supposedly married just 21 days after they met. Bess took the place of Dash and they continued with the Metamorphosis Act. Skill and natural talent is only a tiny component of being successful at any endeavour. The vast majority is ascertained through hard graft. Working in small venues, Houdini often performed 14 shows a day with little payoff. During this time, he frequently challenged the audience to find a handcuff that would hold him but none could. He would defy anyone, whether it be members of the audience or police, it did not matter to him. This marked the beginning of his success. Producer, Martin Beck, happened to see Harry Houdini’s act and this was the start of Houdini’s career. Beck told him to concentrate on the handcuff and box trick acts and forget about the other magic. He duly complied and vaudeville became the platform of choice. Houdini grew so successful that he became the highest paid entertainer in vaudeville within only a couple of years of breaking out. Harry Houdini challenged people to bring their own handcuffs. Antique handcuffs or specialised handcuffs, it did not matter. Some of these handcuffs were the most complicated in the world with double and triple locks. At times he would have five or six handcuffs on his wrists. He would then go into a cabinet and continue talking to the audience as he freed himself. Harry Houdini never revealed how he escaped from the handcuffs. He did, however, have a great understanding of lock mechanisms. He was able to know just by looking at a lock what pick was required to open it. Harry Houdini had a dental plate inserted at a young age that may have been used to conceal objects. He also had learnt exercises in which he could swallow and retrieve objects. However, he also had other methods of escape. Some claim that he arranged handcuffs with the easiest ones to remove placed closest to the hands with the more difficult ones being placed further up the arm. All he would have to do is remove the easier handcuffs and the rest would fall off his arms. 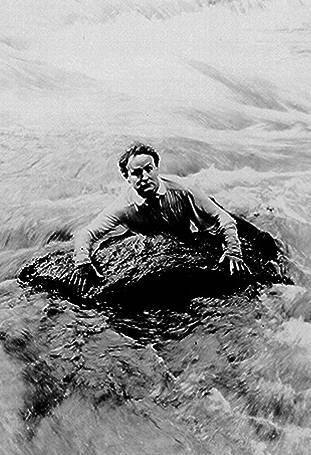 Harry Houdini never one to say still, set his sights on escaping from more difficult environments. He soon moved on to escaping from jail cells. 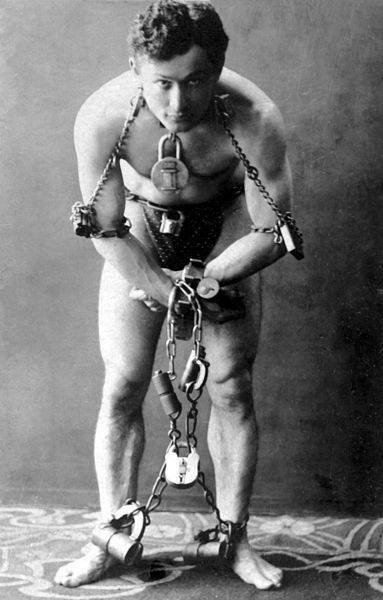 Houdini, to show he had no hidden tools, would be locked in a cellwearing nothing but underwear on. After freeing himself he would place prisoners into other cells and retrieve his clothes from another locked jail cell. Soon the jail cells gave rise to ‘The Challenge Act’ in which Harry Houdini challenged anyone to try and build a device that could contain him. He always succeeded in escaping and this added further to his fame and legend. Harry Houdini’s straitjacket escapes were born out of visiting an insane asylum and observing people trying to free themselves from their straitjackets. Showmanship played a big part in the straight jacket performances. He often made it look a lot harder than it was. Imitators began to have an effect on his straitjacket act so Harry Houdini changed direction once more. Taking inspiration from something he feared, he came up with his water acts which consisted of escaping from water-filled environments. These appeared very risky and Houdini trained hard by practising breath control in a bathtub. He could hold his breath for three minutes. His first act was based on escaping from a milk can filled with water. He would ask the audience to hold their breath so that they could imagine what it was like. One of his most famous stunts was the Chinese Water Torture Cell, described by biographer, Patrick Culliton, as a ‘murder device’. The device consisted of a tank, filled with water, in which Houdini would be placed with his feet locked in stocks hanging upside down in the cell. To increase the tension, there would be a long build up to the trick describing the apparatus in detail and listing all the things that could go wrong. During the trick, his stagehand would hold an axe ready to smash the cell in the event of anything going wrong. Although the axe was never used as the trick had been perfected, it greatly added to the tension and is a great indication of Harry Houdini’s showmanship. 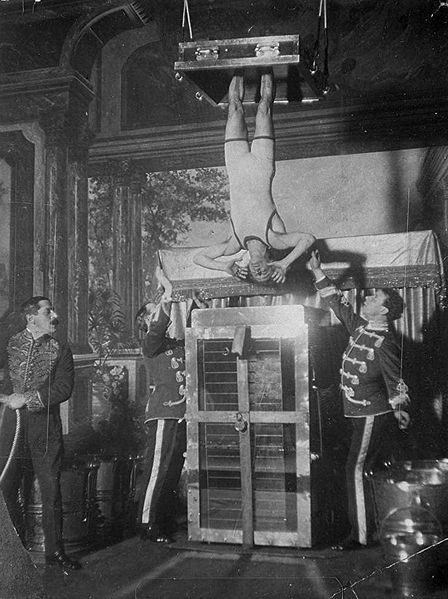 The turn of the century saw Harry Houdini trying something new yet again and he set his sights on a European tour. Harry Houdini toured Britain and Europe for five years, escaping from jail cells during the day and performing at night. However, one escape during the magician’s sojourn in Europe stands out from the rest, the Mirror handcuff escape. This became his most famous handcuff challenge. The handcuff had 13 tumblers or pins and Houdini stated that the cuffs had taken a British mechanic five years to make. Before the event started, he told the audience, ‘I do not know whether I can escape or not but I am going to try’. After twenty-five minutes he came up from his ‘ghost house’ screen and asked for a glass of water and then returned. His wife Bess gave him a kiss for good luck nearly one hour into the challenge. After one hour and seven minutes in the ‘Ghost House’ he was free of the handcuffs. There has been speculation that the magician had met his match in this challenge and that he could not get out of the cuffs. There are claims that his wife transferred the key of the handcuff when she kissed him. It’s believed she had pleaded for the key in order to save her husband’s face. This account was published by Will Goldstone, who was a close friend, after Harry Houdini’s death in Sensational Tales of Mystery Men. However, experts have dismissed this after uncovering evidence to suggest that the whole event was pre-arranged and that the difficulties were pure showmanship. Forever seeking new heights, Harry Houdini introduced another death-defying stunt into his already large portfolio. The Manacle Bridge Escape was a terrifying act which involved the daredevil jumping from a bridge or platform into water while handcuffed. There was very real danger in this stunt and vigorous training was needed in preparation. 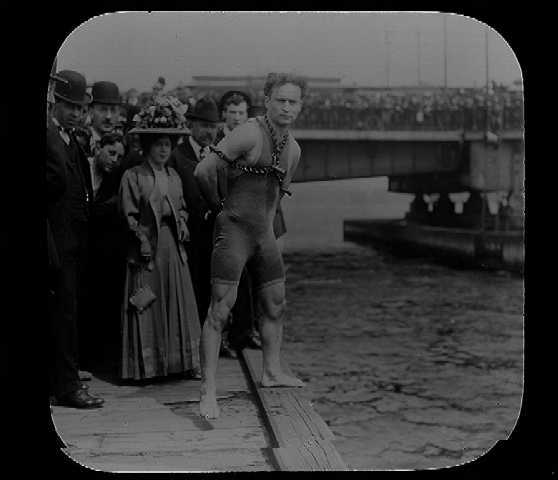 Occasionally, the stunt would go wrong and Houdini once banged his head on the river bed. Another time he got caught in the powerful current of the Mississippi River and nearly drowned, just about managing to reach the surface. Harry Houdini’s act still spawned impersonators which enraged him. Many times during his career he had to adapt acts solely because they were being ripped off by copyists. Houdini was furious after a German copycat had ripped off his handcuff act and this time he decided to do something about it. After the German imitator challenged anyone from the audience to give him handcuffs Houdini presented himself as the challenger. Harry Houdini gave the German, handcuffs, from which the imitator could not escape. Harry Houdini was an expert at generating publicity and utilising all means available to him to draw huge crowds to his shows. He used newspapers, police stations, public platforms and word of mouth to promote his shows. In doing so, he laid the foundation of what has become the modern day celebrity. As his outdoor escapes became increasingly legendary so too did his name. Harry Houdini was a master of suggestion and he would implant ideas so that people would think that they came up with the idea themselves. He often used suggestion to great effect to help promote himself. Harry Houdini, in an attempt to add to his legend, sought to become the first person to fly in Australia having previously undertaken flying lessons in Europe. In order to qualify, certain aeronautical maneuvers had to be performed which included both a successful landing and a figure-of-eight. In March 21, 1910, Harry Houdini became the first person to successfully fly in Australia. The preceding day before another man had successfully flown. However, he crashed landed and so the record was given to the magician. After making a 15 part serial, ‘The Master Mystery’, Harry Houdini became a Hollywood star. His most famous film was the 1919 classic ‘The Grim Game’. But the most difficult element featured a stuntman called Robert Kennedy who stood in for Houdini. Kennedy was supposed to transfer from one plane to another by jumping off a rope from the plane above. The stunt, went badly wrong as Kennedy tried to transfer to another plane. The two planes collided and began a death spiral. However, at the last moment they separated saving the lives of the people on board. Harry Houdini, failing to mention that it was not him in the stunt but another man, offered a $1,000 reward for anyone who could prove the stunt wasn’t real. 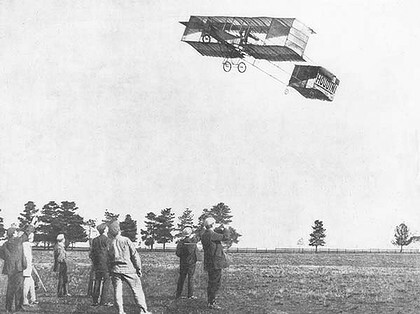 The pilot of one of the planes attended one of the shows as Houdini put forth his $1,000 challenge. Nonetheless, the pilot kept the fact that Houdini never performed the stunt secret. You can get Houdini’s films Houdini: The Movie Star (Three Disc Collection) here from Amazon. In 1922, Arthur Conan Doyle, a close friend of Harry Houdini, lost his son in World War One. 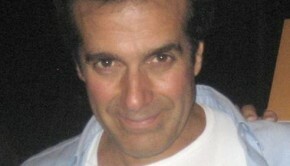 Doyle visited a medium who ‘produced’ his dead son who kissed him on the forehead during a seance. Houdini fought bitterly with Doyle over this, disputing its authenticity. 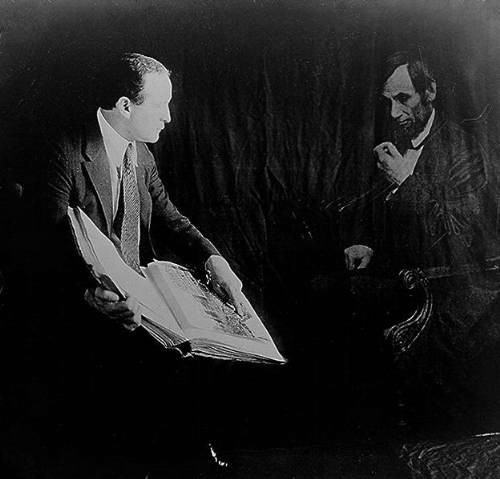 Doyle’s wife, a spiritualist medium, offered to contact Houdini’s mother to persuade him of the existence of the paranormal. 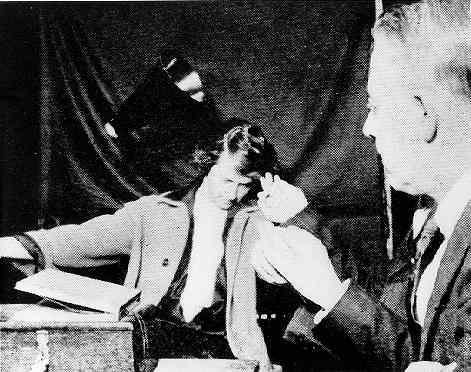 During a seance she wrote spiritualist writings purporting to come from Houdini’s mother. But she made some serious mistakes such as writing in English and drawing a cross. English was a language Harry Houdini’s mother did not speak and she was Jewish. Although infuriated, Houdini bit his tongue. However, this incident became the catalyst to cause him to expose mediums. Fueled by these personal experiences, he gravely resented mediums exploiting grief for monetary gain. Harry Houdini managed to debunk many mediums and would travel from town to town all across America exposing them. After Houdini had exposed so many spirtualists to be charlatans, they became a lot more careful and it became harder for Houdini to find them. Needing a another method he started to use a detective to go to mediums in advance gathering information with which Houdini would use to expose them. This worked incredibly well but soon Harry Houdini would find a remarkable opponent from a well-respected part of society. In 1924 Harry Houdini came into contact with a more worthy adversary in the form of Margery ‘The Medium’ from Boston. Margery’s husband was a well respected surgeon and she was a member of upper class society. Unlike most mediums, she did not charge for people to attend her seances. During these, ectoplasm, flashing lights and levitation were witnessed together with a spirit voice of her dead brother. On of the most intriguing things was that although her limbs were bound objects would still move off the table. All of the media attention that Margery was receiving caught Houdini’s eye and he immediately set about debunking her. 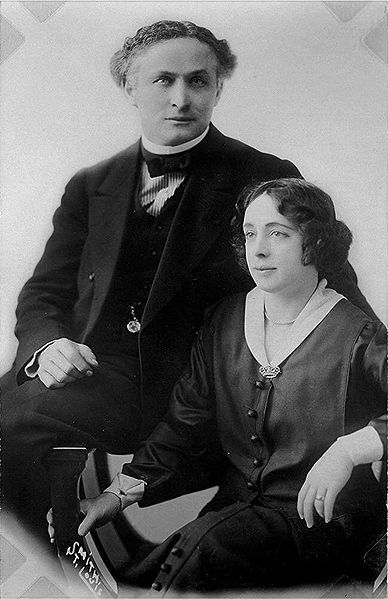 Harry Houdini instantly recognised conjuring tricks at work and denounced Margery as a charlatan. Nevertheless, Margery had the support of the Scientific American Committee. To combat this Houdini built a special box that would restrict her movements. He publicly debunked what he believed were her non-paranormal methods and offered a $10,000 challenge for her to prove her paranormal abilities in front of the public. She failed to appear and Houdini had destroyed her reputation. Harry Houdini decided to put on a magic extravaganza which opened in 1926, and was divided into three parts. The first part dealt with magic tricks, the second featured an escape act and the final act, which was the most dramatic, consisting of debunking seances. Rahman Bey, an Egyptian mystic, was Harry Houdini’s last great challenge. Rahman Bey was getting a lot of publicity for his exploits. Put in a waterproof coffin and placed underwater, Bey managed to last one hour in this watery grave. Bey said he did all this by going into a trance. Houdini doubted this was the case and decided to duplicate the experiment without going into a trance. Scientists had measured the amount of air in the coffin and had come up with an estimated five minute air supply. The scientists did not take into account that a man, using proper breathing techniques, could survive by recycling the air. 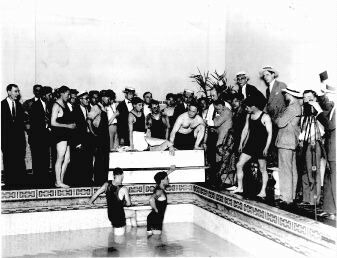 By staying calm, Houdini managed to stay in the coffin for one hour and 31 minutes. However, Harry Houdini, no longer having the same physical fitness he had when he was younger, suffered badly from the lack of oxygen and was on the point of blacking out. Harry Houdini arrived in Montreal to do his magic extravaganza in October 1926. Some college students arrived after one of his shows to visit the performer. One student named J Gordon Whitehead challenged Houdini’s assertion that he could withstand any blow. Houdini meeting the challenge allowed him to strike three or four blows to his stomach. Harry Houdini allegedly did not tighten his abdomen muscles and the blows hurt. Afterwards he complained of pain in his stomach and while giving his final performance a few days later he collapsed. He was revived and finished the rest of his show. However, he died shortly after the show was over. It is believed that prior to the Whitehead challenge, Houdini had been suffering from appendicitis. The blows were said to have caused his appendix to rupture. Upon examination it was revealed that Houdini died because of a huge staff infection due to a ruptured appendix. Recently, medical scientists have argued that as Houdini was already suffering from appendicitis, the blows would not have resulted in his death. Following Harry Houdini’s death, the secrets of his acts and a huge memorabilia collection were passed on his brother in his will, with strict instructions that they were to be destroyed. However, his brother passed them on to his protege, Sydney H Radner. Radner, who held the secrets for 60 years, decided to put them up for auction in 2004 in what became known as ‘The Great Houdini Auction’.bought much of the collection and now boasts the largest Harry Houdini memorabilia collection in the world. Harry Houdini’s passing meant the loss of an icon. Whatever the truths surrounding Houdini’s stunts were, they are little more than footnotes. For in magic technical ability counts for very little. Magic is never about the acts themselves, it is always focused on the audience’s reaction. Harry Houdini’s truly amazing talent had nothing to do with magic at all. It was his ability to keep his audience spellbound for hours as he performed that explains who he was and what he has become. He didn’t just keep his audience hooked on his every word once or twice. He did it again and again, consistently over time and in the process claimed a place in the pantheon of Greats. Check out Yellow Magpie’s Harry Houdini Quotes: The Great Magician Speaks to find out what the escapologist had to say about money, his most difficult escape and the value of integrity. 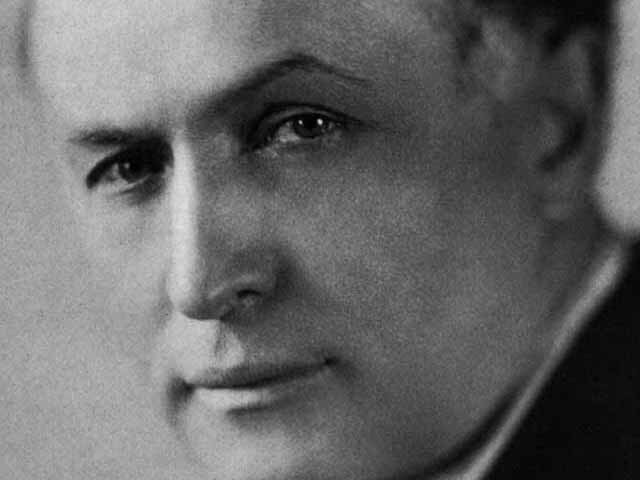 Houdini is a fascinating person full of complexity and intrigue. If you are interested in a more detailed reading of his life, The Secret Life of Houdini: The Making of America’s First Superhero is a great book. At over 500 pages it gives an in-depth analysis of Houdini’s life including relevations of espionage and extra-marital affairs. History — Houdini: Unlocking The Mystery, if you prefer a tangible DVD, provides a visual account of Houdini’s story. However, it is also freely available on youtube. One of our readers, Ethan, has suggested that we include Houdini: The Career of Ehrich Weiss by Pulitzer-prize winning writer, Kenneth Silverman. For people living in Ireland or the United Kingdom, you can access Houdini: The Movie Star, The Secret Life of Houdini, History: Houdini Unlocking The Mystery and Houdini: The Career of Ehrich Weiss here. For those who live in Canada, you can obtain Houdini: The Movie Star, The Secret Life of Houdini, History: Houdini Unlocking The Mystery and Houdini: The Career of Ehrich Weiss here. For Germany: The Secret Life of Houdini and Houdini!!! 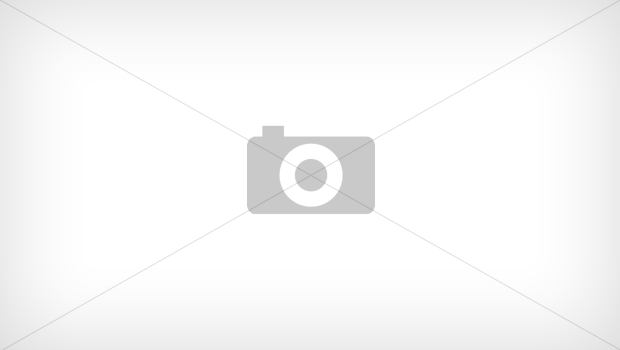 The Career of Ehrich Weiss here. For France: The Secret Life of Houdini and Houdini: The Career of Ehrich Weiss here.